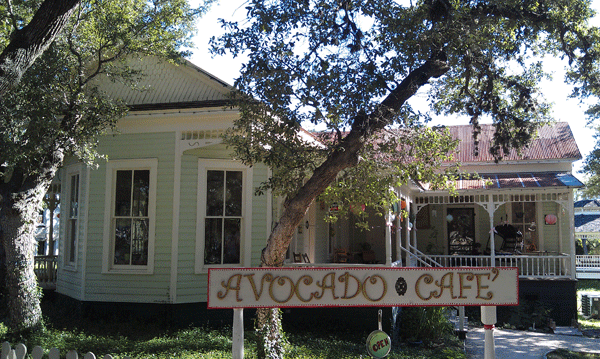 Avocado Cafe & Juice Bar has been serving the best guests in Bracken Village since August 2012. Cooking up light and healthy meals, pastries, and specialty drinks, the Avocado Cafe is sure to have something for everyone. Vegan, vegetarian, and gluten-free options available. Make yourself at home in our cozy house, relax on the porch swings, or call in your orders to-go. Got a lot of mouths to feed? Let us do the heavy cooking! Larger quantities of all items, to include cakes and our famous chili, are available with advance order. Looking for something specific? Let us know! Our house is the perfect location for your next special event. We have held beautiful bridal showers, bible studies, baby showers, engagement parties, book clubs, bunko groups, retirement parties, and a wedding! Let us help you make your dream event come to life. Please visit our special events link on our website for more information. We are Veteran family-owned and operated and are happy to offer a discount to our military friends — both active duty, retired, and their spouses. All food is made to order while supplies last, so come in and enjoy your time while we try to make you feel as comfortable as possible. Our family looks forward to serving you and yours soon!